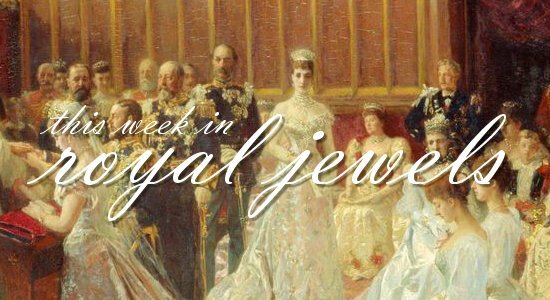 The summer season is winding down for the royals, but we've still got some lovely jewels to enjoy. Don't forget to vote for your favorites in the poll below! 10. 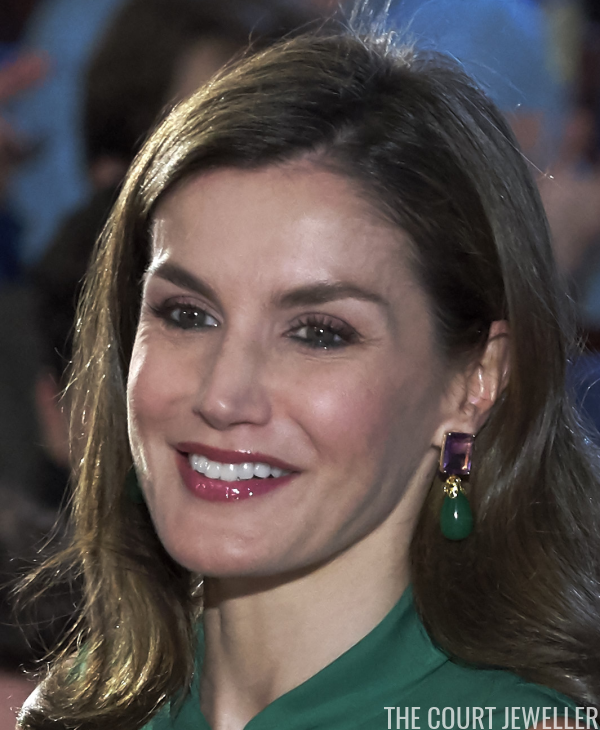 Queen Letizia of Spain inaugurated the annual meeting of the Cervantes Institutes on Monday in Malaga wearing her long golden Tous earrings. 9. 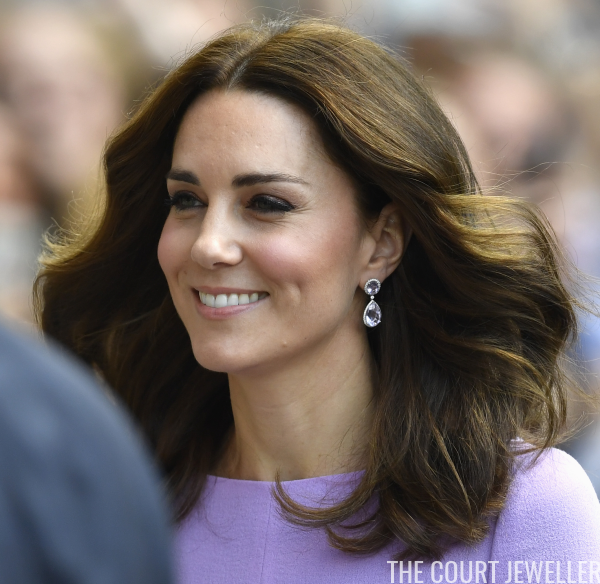 During a visit to meet families at the Glasgow Children's Hospital on Monday, Princess Eugenie of York (a supporter of the Teenage Cancer Trust) added a pair of delicate earrings to her usual rings-and-bracelets jewelry uniform. 8. 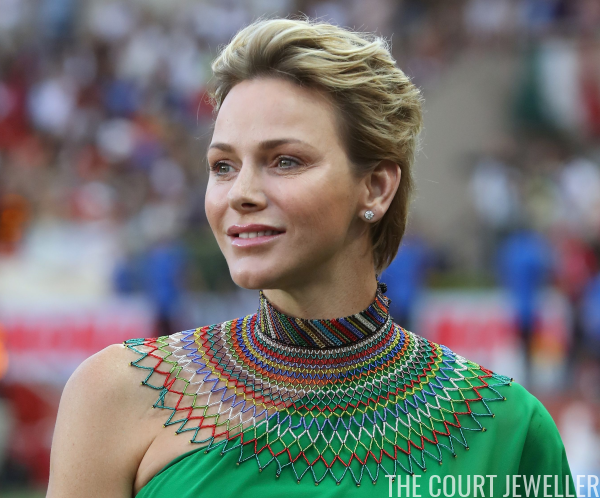 In Monaco, Princess Charlene wore diamond stud earrings and a fantastic beaded collar (not sure if it's part of the dress or a separate piece) for the IAAF Diamond League athletics meeting on Friday. 6. 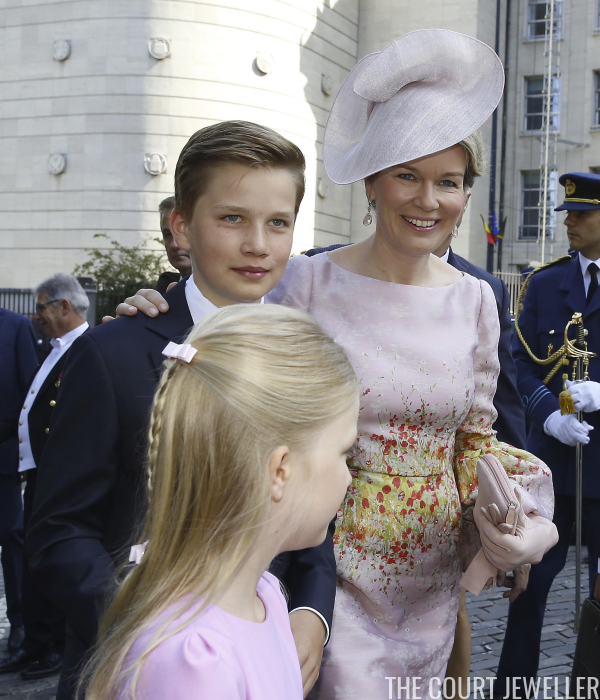 Amethyst and green jade earrings from Bounkit were Queen Letizia's choice for the opening of the International Music School Summer Courses in Oviedo on Friday. 5. 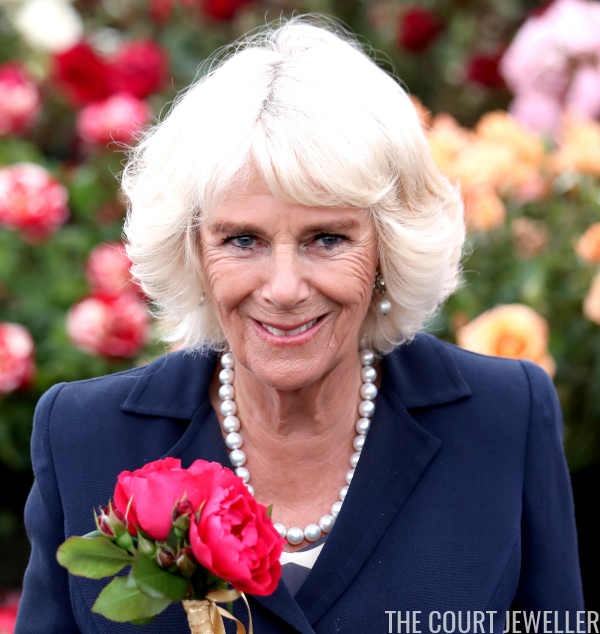 The Duchess of Cornwall selected her favorite diamond floral and pearl drop earrings, plus a single-stranded pearl necklace, for the Sandringham Flower Show on Wednesday. 4. 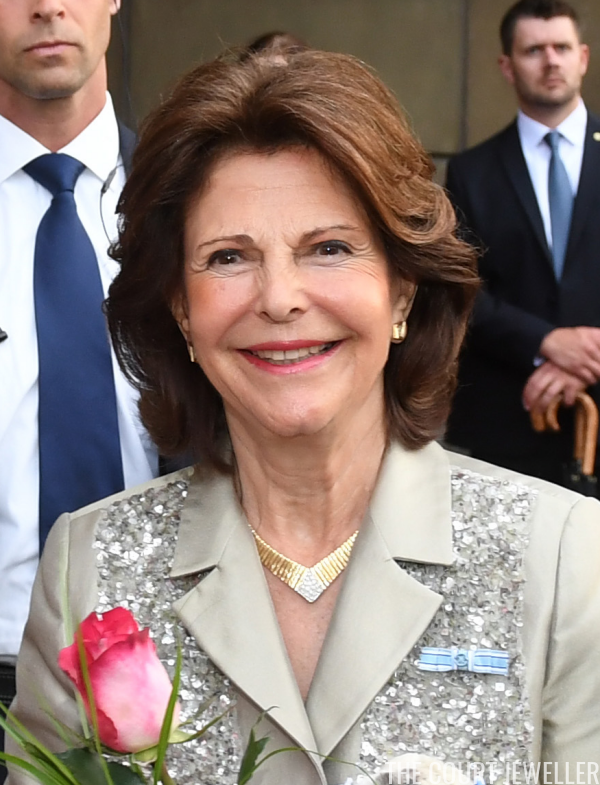 King Carl XVI Gustaf and Queen Silvia of Sweden were in Munich this week, where Silvia wore pearls and a golden brooch to accept the Bavarian Order of Merit on Monday. 3. 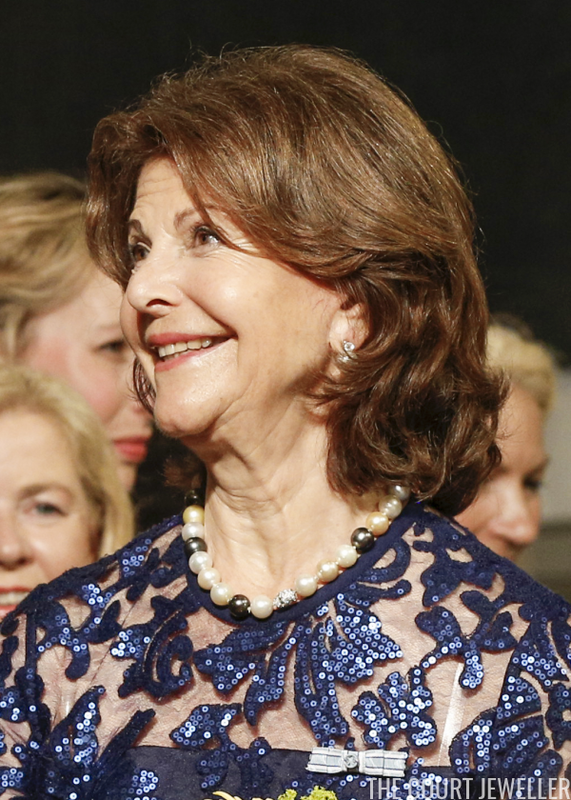 Silvia chose mixed-metal jewels, plus the small ribbon of her new Bavarian order, for a visit to the Residenz in Munich on Monday. 2. 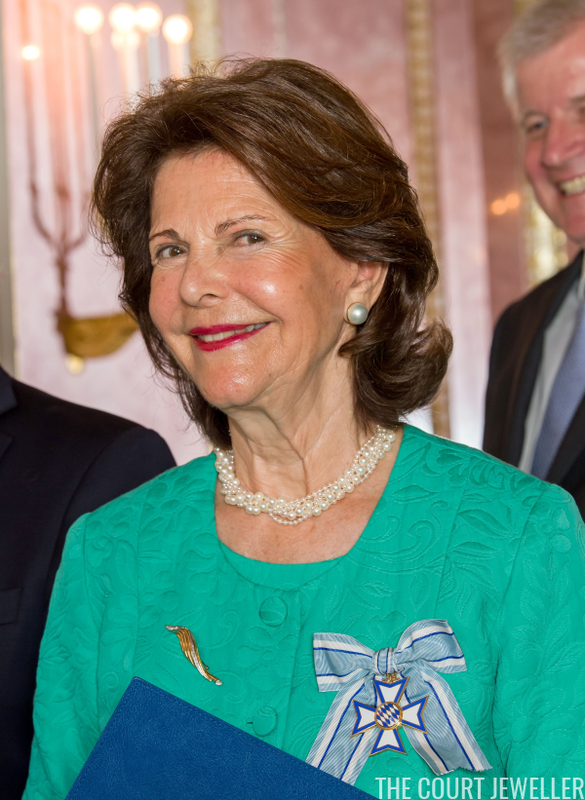 For Tuesday's Bayreuth Festival State Reception at the Neues Schloss, Silvia chose multi-colored pearl and diamond jewels, plus her new Bavarian order ribbon.